I received a complimentary Smile Brilliant LED Teeth Whitening System for the purpose of this review. All opinions included in this post are my own and reflective of my experience with the product received. I am a serious coffee drinker. Some people might call it an obsession, I call it a passionate appreciation. The only thing that I don't love about coffee is that drinking a lot of it, especially on a daily basis, causes stains on teeth. Not many things are as unappealing as yellow-tinted coffee stains on teeth! Because I am unwilling to give up my love of java, I am constantly on the look out for products that keep my pearly whites, well, white! 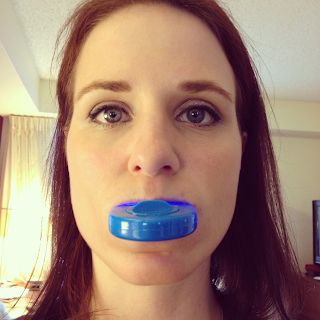 When Smile Brilliant reached out to me about their LED Teeth Whitening system, I was eager to put it to the test. I've tried several at home teeth whitening products in the past, but never one with an LED light. According to Smile Brilliant's website, this product will remove everything from coffee/tea to tetracycline stains on teeth and has a 30 day money back guarantee. To use the Smile Brilliant system at home you first apply the teeth whitening gel to your teeth, then put the whitening trays into your mouth, followed by the LED activating light. You can use the light for as little as 20 minutes a day with guaranteed results. I tend to experience sensitivity in my teeth when using teeth whiteners, so I stuck to an every other day routine to make sure I got the most out of my trial. 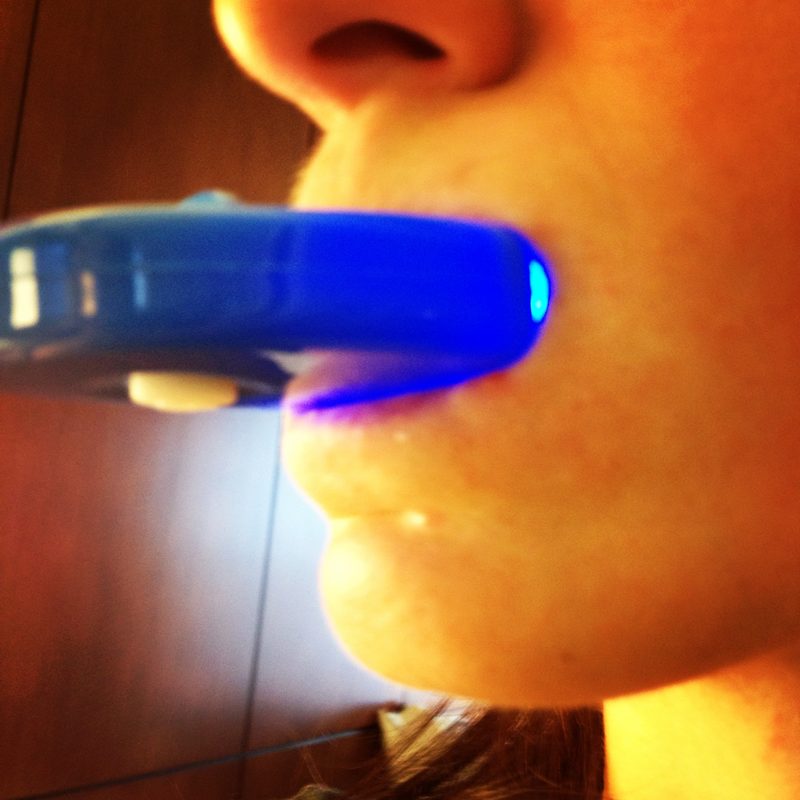 The process itself is totally easy and the LED light is not heavy or bothersome when it is in your mouth. The only thing that was difficult for me was that I couldn't talk with it in, so I needed to make sure I did my treatments during naptime or some other time where interaction wasn't necessary (after the little one was asleep). The tray also comes apart which can be somewhat annoying but it isn't really a big deal in terms of results or the process. After several sessions and despite continued coffee drinking I am starting to see the results I hoped for! I can only imagine how bright my teeth will be another month from now! 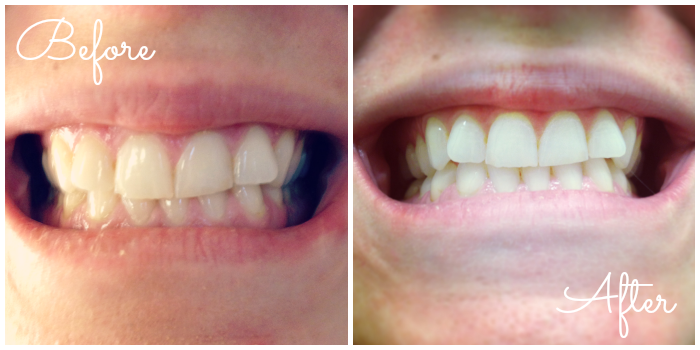 I'm excited to keep using the LED Whitening System and look forward to sharing more results in the future. Are you ready to start your brightening your smile at home? 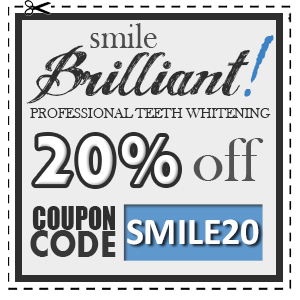 BaxtronLife readers can use the following coupon to save 20% off a Smile Brilliant Professional Teeth Whitening system! Smile Brilliant has also generously offered one of my lovely readers the opportunity to try their LED Whitening System at home. This giveaway is open BaxtronLife readers located in the U.S. and Canada. You must be 18 years of age or older to enter this giveaway. I like their site! What I like most about the LED whitening system is that you only need to devote 20 minutes a day to get nice teeth! I am loving that it only takes 20 minutes per day! Sounds like a great thing to do while the babe naps!